Pet Trade Innovations Ltd are delighted to offer one lucky winner a brand new Cleany Teeth Starter kit for dogs! Voted the Best Dental Care Pet Product Winner in 2018, this patented technology produces effective results with only 60 – 90 seconds cleaning, some people have noticed results after first use. Cleany Teeth uses ultrasound therefore no disturbing noise or vibration that may upset your dog. 80% of all dogs over the age of 3 suffer from gum and tooth issues, this is not a cosmetic issue, this is a medical issue that can result in damage to vital organs and hefty vets bills. The Cleany Teeth provides a deep clean and effectively removes tartar, reduces gum inflammation and reduces mouth odor. So no more expensive vets visits and having your dog anesthetized to have their teeth cleaned. To find out more, visit the Pet Trade Innovations website. For the chance to win, simply login or create an account, and answer the question on this page. This competition closes at midnight on Thursday April 18, 2019, and is for UK residents only. Good luck! Q. 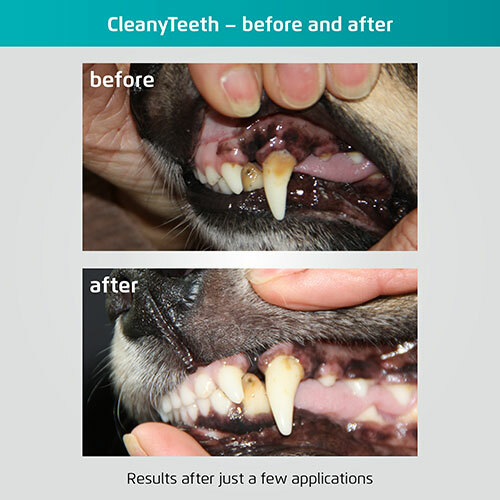 Would you like to win a Cleany Teeth Starter Kit for your dog?